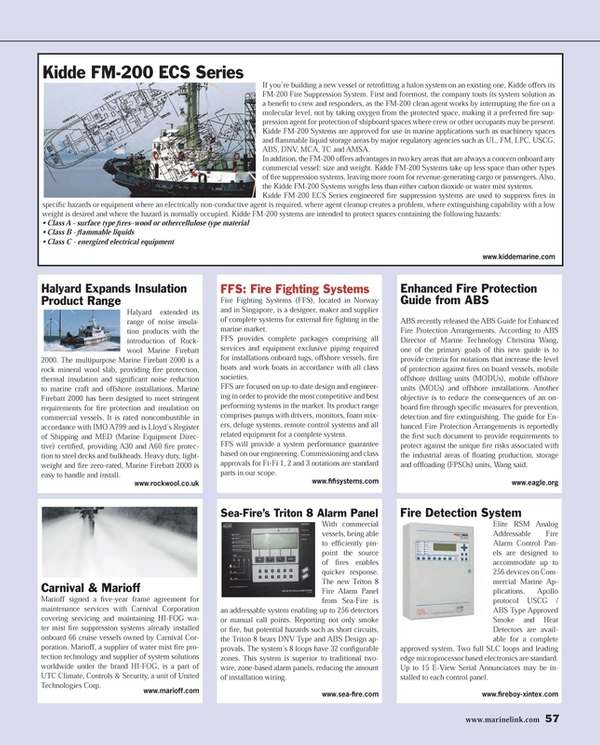 Elite RSM Analog Addressable Fire Alarm Control Panels are designed to accommodate up to 256 devices on Commercial Marine Applications. Apollo protocol USCG / ABS Type Approved Smoke and Heat Detectors are available for a complete approved system. Two full SLC loops and leading edge microprocessor based electronics are standard. Up to 15 E-View Serial Annunciators may be installed to each control panel.